Congenital defects or underlying respiratory problems. One of the top risk factors is upper-airway problems. Pugs, Bulldogs, French Bulldogs and Boxers can suffer from brachycephalic airway syndrome. Unlike humans, who sweat when hot, dogs use their respiratory system to get rid of heat — and the airway abnormalities of flat-faced breeds puts them more at risk of heatstroke when they're exposed to higher temperatures. 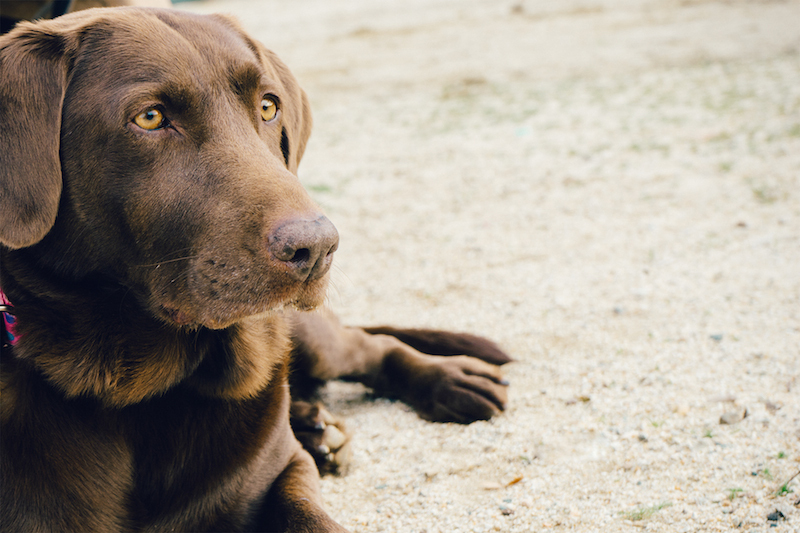 Another underlying respiratory condition that can cause problems is laryngeal paralysis, which is common in medium and large breeds like Setters, Labradors and Pit Bulls. Additionally, small dogs such as Yorkshire Terriers, Pomeranians and Maltese are commonly affected by collapsing tracheas. In both of those situations, dogs will pant to release heat, and panting causes swelling in the airway, which causes them to pant harder, which results in more swelling. This vicious cycle can become dangerous quickly. Not being acclimated to hot weather. Everyone wants to enjoy summer by running and playing with their dog. Dogs will not stop, even when they can't breathe or are about to collapse. It's up to pet owners, then, to know the signs of heat stress, to help dogs cool down before it becomes an emergency. Those signs include excessive panting and drooling, a fast pulse and gums that have changed in color from pink to bright red. Vomiting and bloody diarrhea are signals that the heat may have started to affect internal organs. Being kept outdoors without access to shade and water. It can be dangerous for an indoor dog to overexert himself in hot weather, but pets who are primarily housed outdoors are also in danger. Keeping a dog outside in the summer, especially without appropriate access to shade and cool water, is a risk that's not worth taking. Being left in the car. It is never OK to leave a pet in a hot car. The temperature inside a car can reach over 120 degrees in minutes. If you have that window cracked a tiny amount, it's really not going to help. Dogs can die very quickly in hot cars. If you see an animal locked inside a hot car, there are steps you can take to help rescue it safely. The Humane Society of the United States, and the ASPCA recommend that you write down the car's make, model and license plate; attempt to locate the owner; and call animal control or your local police department for help. Obesity. While it is not a congenital defect like brachycephalic airway syndrome, obesity can certainly add to the risk of heat stress. While some heat can escape through the respiratory system by panting, approximately 70 percent of the heat loss in dogs and cats occurs by radiation and convection through the skin. When the core body temperature rises, blood vessels dilate, the heart pumps harder, and there is increased blood flow to the skin, where heat is lost to the environment. In obese dogs, the large layer of fat under the skin serves as insulation and can prevent some of that heat from getting to the skin to be released. An extremely thick coat of fur can cause the same situation, so you should also watch closely for signs of heatstroke if you own a furry breed like the Newfoundland or Great Pyrenees. If you think your dog is experiencing any of the signs of heatstroke, it is vital that you contact your veterinarian.